According to a new study, both cell-culture and egg-based inactivated influenza vaccine (IIV) vaccines showed relatively low vaccine effectiveness (VE) during the 2017-2018 influenza season in which the A(H3N2) virus strain dominated. “The relative vaccine effectiveness of cell culture-based IIV versus egg-based IIV against influenza A was 8%, but the difference between the two was non-significant,” said Nicola Klein, MD, of Kaiser Permanente, as reported by MedPageToday. This Kaiser Permanente research was presented on October 6, 2018. Cell-based flu vaccines were developed as an alternative to the egg-based manufacturing process. 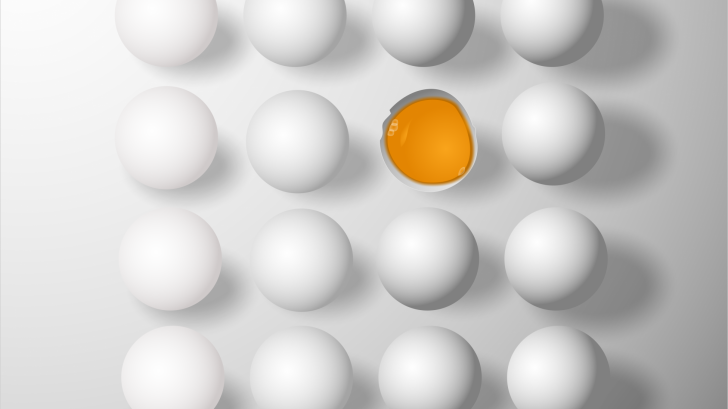 Cell culture technology is potentially more flexible than the egg-based technology, which relies upon an adequate supply of eggs, says the Centers for Disease Prevention and Control (CDC). This study was led by Nicola P. Klein, MD, Ph.D., a director of the Kaiser Permanente Vaccine Study Center, and included all Kaiser Permanente Northern California members aged 4-64 years and used Cox regression with a calendar timeline during the prior year. Of these 3,015,891 Kaiser members, 1,017,314 were vaccinated with a flu vaccine. Of these, 932,874 (91.7%) received ebIIV and 84,440 (8.3%) received ccIIV. When comparing ccIIV with ebIIV, the adjusted relative VE against influenza A was 6.8 percent. The adjusted absolute VE vs unvaccinated of ccIIV was 30.2 percent and the ebIiV was 17.9%. This data means both cell-culture and egg-based IIV vaccines showed relatively low effectiveness against the A(H3N2) strain during the 2017-2018 influenza season. The researchers also compared both relative and absolute vaccine effectiveness against influenza B. While relative vaccine effectiveness of the cell-culture based vaccine was 39.6 percent, this was compared with the egg-based trivalent vaccine, which contained B virus of Victoria lineage. These Kaiser researchers said "this lower-than-expected VE was hypothesized to be partially related to genetic changes arising in the vaccine during passage in eggs," and that this "raises the question of whether cell-culture based inactivated influenza vaccines are more effective." Dr. Klien concluded that the data hinted that cell culture-based vaccine was "moderately more effective" against influenza A than egg-based vaccines, but the difference was non-significant and that this vaccine provided "good effectiveness" against influenza B. "Ongoing monitoring of vaccine effectiveness is crucial, but most of all, we need better vaccines," Dr. Klein said. The study was partially supported by the Department of Health and Human Services, the Office of the Assistant Secretary for Preparedness and Response, and the Biomedical Advanced Research and Development Authority (BARDA). Dr. Klein disclosed financial support from Sanofi Pasteur, GlaxoSmithKline, Pfizer, Merck, Sanofi Pasteur, MedImmune, and Dynavax.